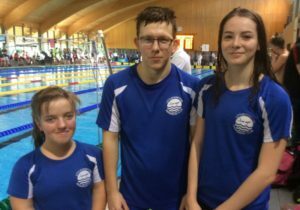 Jessie Brown, Jess Frayne, Caleb Grace, Joe Greaves, Georgie Howell and Madi Walker all competed in this years SE Winter Regional Championships in Portsmouth, which were held long course for the first time last weekend. All six swam well, with Caleb, Joe, Georgie and Madi all swimming PBs. 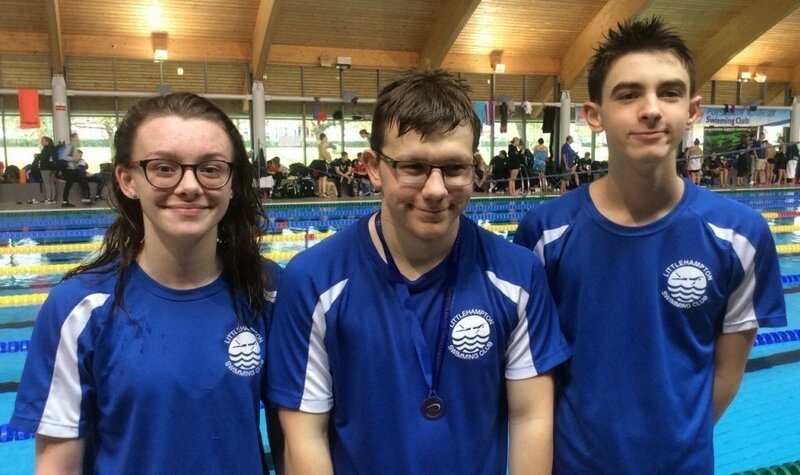 MC swimmers Caleb and Georgie both won Gold, Silver and Bronze medals! Madi swam an awesome 50 breast, winning her heat; Jessie nailed her turns and Jess swam her fastest 50 free this year with a superb start. There were a good number of MC swimmers there this year which made for good competition. Joe set his first long course PBs in his 100 free and back in his first Regional Championships. 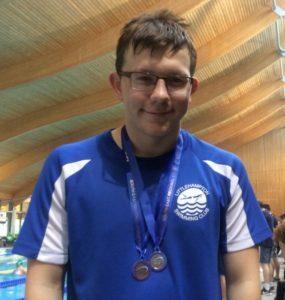 He came 6th in the freestyle and 5th in the backstroke. Caleb came 1st in the 100 breast; 2nd in the 100 back, 200 free and 200 IM; 3rd in the 100 free. He knocked almost 5 seconds off his 100 back long course PB. Georgia won Gold in the 100 breast, 200 IM and 50 fly; was 2nd in the 50 free and 100 back; 3rd in the 100 free and 400 free. Her 400 free was an amazing 14.5 second PB! Congratulations to all six of you on a superb performance.